Saf-Check® all-in-one system keeps your thermometer and sanitizer test strips together for easier, more frequent temperature and sanitizer strength checks. Designed to improve food safety practices, health inspection scores and makes it easier to train employees on proper sanitizer and water temperature monitoring, Saf-Check® is an essential tool to help minimize cross-contamination and foodborne illness outbreaks. 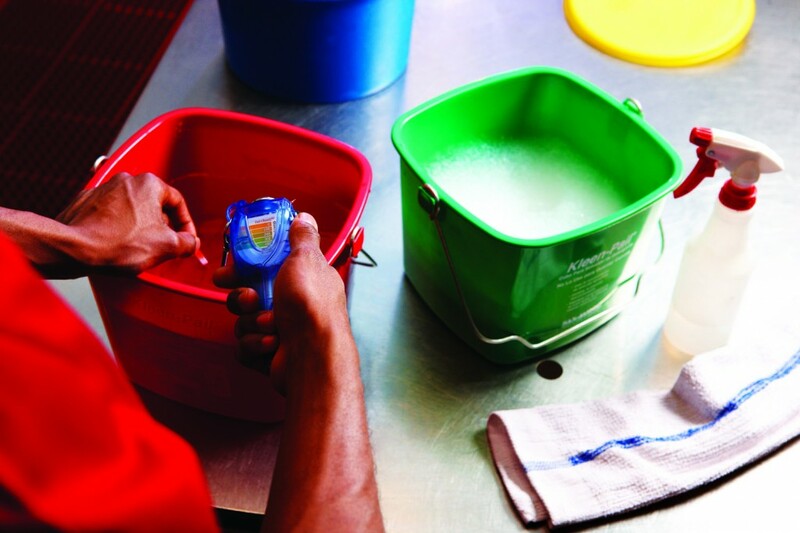 The easy-to-operate thumbwheel dispenses Chlorine or Quaternary roll test strips from a protected compartment. 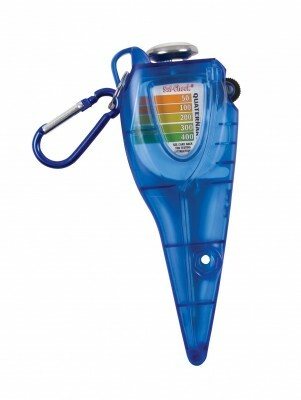 It holds most leading stem thermometers (standard or digital) and includes an integrated bimetallic thermometer calibration tool to help ensure proper temperature readings. A pocket clip and detachable carabiner make storage easy and keeps Saf-Check® handy. The easy-to-ready Smart Scale™ test strip guide lets you know if sanitizer is safe of needs to be changed.